This compact cake box from USDM can accommodate up to 10 CD or DVD discs. Features a clear plastic top with twist-lock tabs for secure disc storage while in transport. The biggest advantage of this USDM 10-disc cake box is its small size! It is very easy to slip this CD cake box with spindle into a briefcase, purse, or laptop bag. 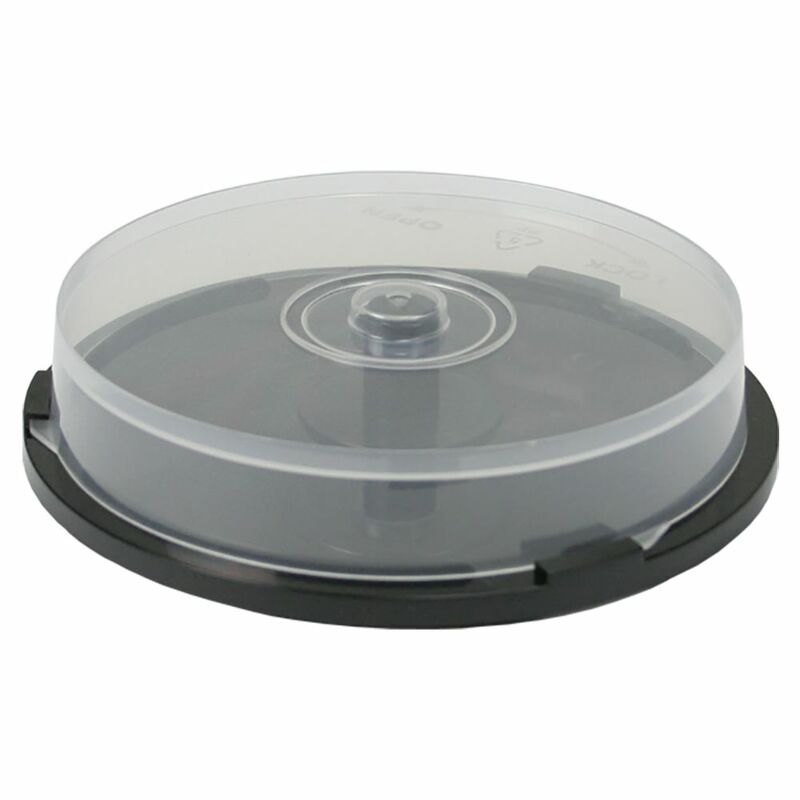 This is a safe and reliable way to store up to 10 CD or DVD discs while traveling.